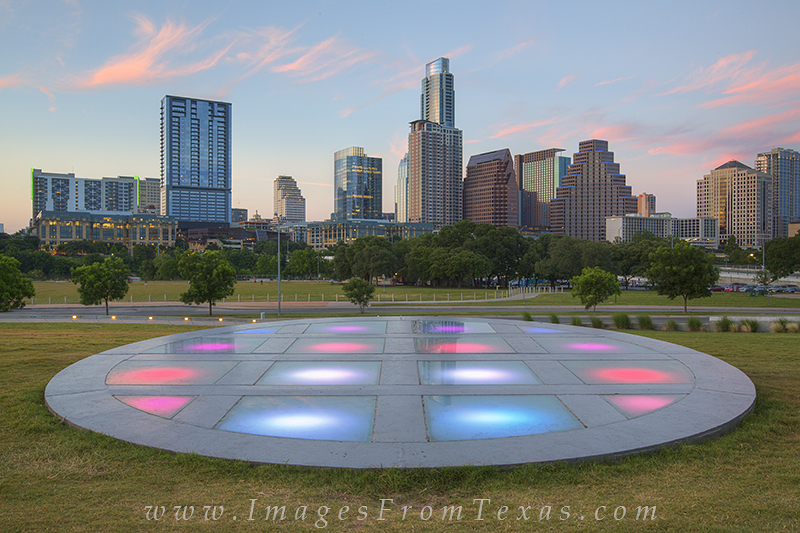 Soft clouds drift over the Austin skyline on a pleasant June evening. Taken from the Long Center, this view of downtown looks north across Ladybird Lake. Photo © copyright by Rob Greebon.